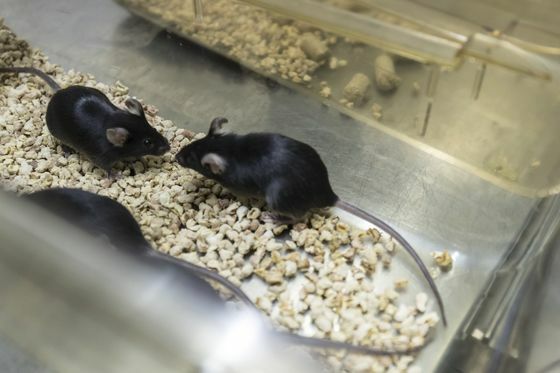 (Bloomberg) -- Sacks of pungent animal feed cram the corridors of a Cyagen Biosciences Inc. center for laboratory mice in southern China, maximizing space for rodents that sell for as much as $17,000 a pair. Such lab rodents are crucial building blocks in China’s efforts to challenge multinational biopharmaceutical companies with world-leading scientific innovation. While the nation’s startups are still small, they are attracting investors optimistic about their prospects. Innovent Biologics Inc. and Shanghai Junshi Biosciences Co., whose PD-1 cancer immunotherapies compete with cancer drugs Keytruda from Merck & Co. and Opdivo from Bristol-Myers Squibb Co., have soared since the stocks’ initial public offerings in Hong Kong in late 2018. Companies researching new medications typically test them on lab animals first. That was one reason Han’s closely held company entered a partnership last July with American company Taconic Biosciences Inc. The goal was to combine Taconic’s sophisticated gene-editing technology with Cyagen’s customer reach in China, giving them more clout in an expanding field of local and multinational suppliers. Charles River Laboratories International Inc., the world’s largest provider of animals for medical testing, bought 75 percent of a Beijing company in 2013 for $27 million and now has 650 employees in China. It operates five facilities in Beijing and Shanghai with a combined 250,000 square feet (23,226 square meters) of space. It plans to expand 36 percent more in southern and central China this year. “Our large growth market is China,” James C. Foster, Charles River’s chairman and chief executive officer, told investors at a conference in Orlando on March 5. Chinese demand helped push adjusted net income up 11 percent to $232.5 million last year on revenue of $2.3 billion -- a 22 percent increase from 2017. Shares in the Wilmington, Massachusetts-based company gained 28 percent in New York in the first quarter and, according to Foster, the company is looking at another Chinese location to help meet customers’ need for daily deliveries of research animals. Companies selling high-tech lab animals are entering a market in which ambition and alacrity have combined with greater regulatory freedoms. 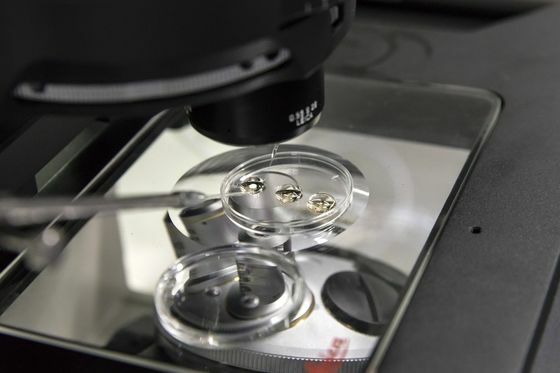 He Jiankui, then a professor at a Shenzhen university, rocked China’s biotech community in November when he revealed that he had violated a global taboo by altering the DNA of twin girls to make them resistant to HIV infection. He, who is under investigation by the Chinese government, used the same Crispr-Cas9 gene-editing system that many companies use to genetically engineer their mice and rats. While they push ahead with less controversial use of Crispr in adult cancer patients, many Chinese scientists expect tighter regulations on gene-editing. Still, that’s not dissuading foreigners. One North American researcher making the leap to China is Charles Lee, a former Harvard Medical School professor who agreed last year to oversee a new personalized medicine institute at Xi’an Jiaotong University, an elite college in Shaanxi province. 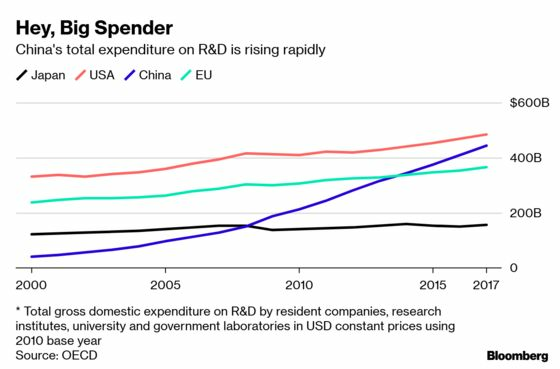 The growing sophistication of China’s biomedical research was a major draw. “The level of science they are doing now, compared to five years ago, has increased tremendously,” he said. Lee’s new center will eventually employ 30 scientists to investigate cancer treatments using custom-designed, immunodeficient mice delivered from Jackson Laboratory, based in Bar Harbor, Maine. Lee runs a Jackson lab in Farmington, Connecticut, studying genomic information. 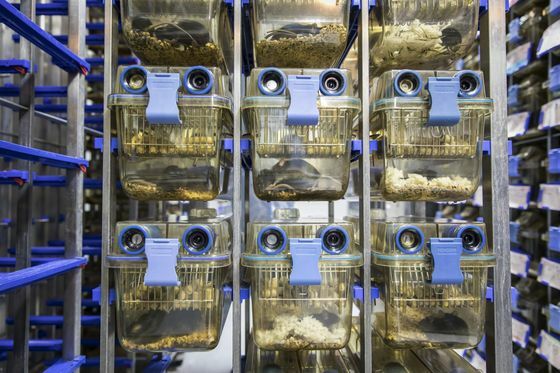 Jackson boasts some 11,000 strains in its catalog of research rodents and is adding about 600 new ones a year, with the pace of development doubling in recent years thanks to Crispr. Lee’s lab in China is part of a broader effort by Jackson to expand its reach there. The nonprofit, started 90 years ago by researcher Clarence C. Little with help from Detroit industrialists, began a partnership in November with the National Institute of Biological Sciences in Beijing and a logistics company to manage the delivery of the lab’s rodents from facilities in Sacramento, California, and Ellsworth, Maine. The tie-up will enable Jackson to have control over its merchandise throughout the supply chain, including at ports and quarantine stations, according to Executive Vice President Auro Nair. Just as Ford Motor Co. and General Motors Co. invested in Chinese factories to sell cars to Chinese drivers, Jackson has ambitions to localize production within a few years. The burgeoning field is attracting growing investment. Beijing Biocytogen Co., which supplies genetically modified animals and undertakes immuno-oncology and antibody research, garnered about $67 million from backers including CMB International Capital Corp. in 2018. 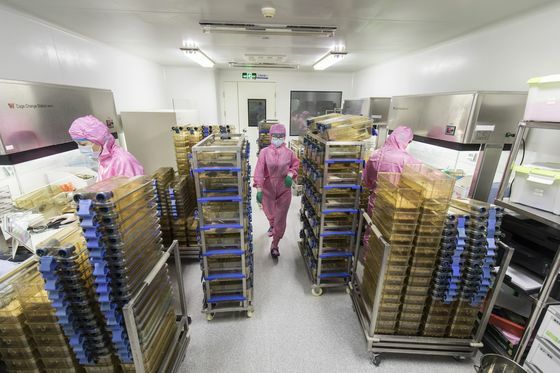 This year, it plans to quadruple its lab space and extend staff headcount to 1,000 from just 80 in 2013, when the company started supplying academic institutions with research mice, said Yuelei Shen, Biocytogen’s founder and CEO. “Five years ago, not too many companies were working on new drugs, but now they want to develop new antibodies and new drugs, and they definitely need new animal models to test those drugs -- that’s our opportunity,” said Shen, who worked alongside immunologist Dan Littman at New York University after earning a doctorate at the University of Massachusetts Medical School in 2003. Still, that may carry some intellectual property risk in a country notorious for purloining design and innovation from elsewhere. Jackson Lab in 2017 sued Nanjing University and several affiliates, alleging that they were selling Jackson-derived mice in violation of their contract. The two sides have submitted that dispute to an arbitrator. Jackson has also scrapped a partnership with Wenzhou Medical University that was supposed to employ 50 to 70 staff members in six research groups. Jackson’s Nair declined to comment on the laboratory’s relations with Nanjing and Wenzhou. The two universities didn’t respond to requests for comment. Despite Jackson’s well-publicized legal wrangling, Charles River’s Foster says he doesn’t worry about the potential for Chinese partners to breed and sell American-designed animals because doing so would undermine the credibility of Chinese research. Taconic Biosciences CEO Nancy Sandy says it would also put into question the validity of the research. “That insulates us in some regard,” she said. Cyagen’s Han sees another major advantage for China: Cost. He says he can raise mice for 20-30 percent less than American-bred equivalents thanks to lower overheads and the pressure from new entrants.